Pretty Gorgeous Cake Company – The home of stunning bespoke cakes, cookies and cupcakes for all occasions! Welcome to Pretty Gorgeous Cake Company, home of multi Award winning Wedding Cakes, stunning bespoke cakes, cookies and cupcakes. 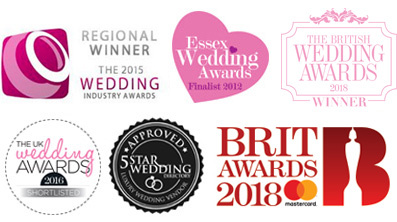 Ideally located to provide wedding cakes to Hertfordshire, London, Essex & Cambridgeshire. Hi Cynthia, Firstly we wanted to say thank you for making us such a stunning wedding cake and Bride and Groom cupcakes! Everybody thought it looked and tasted amazing! We will definitely recommend you for friends’ weddings and other celebrations requiring an amazing cake!! Thanks again. We were so happy with it and all our guests thought it was amazing. Yesterday we started on the top layer, I was planning on keeping it but couldn’t resist and I was right as it tastes soooo nice. So thanks again and we’ll definitely be recommending you and coming back ourselves for future celebrations. Lots of love. My caterer said it was the best wedding cake she ever tasted- and that’s saying something! I’m so pleased with how everything turned out- we had the best time.